I'm enthused about the Maris Otter Centennial SMaSH beer. So excited, I couldn't wait two weeks after bottling to try it. I cheated and put one one in the refrigerator on day 8. Plenty of carbonation, nice golden color, smooth with a lingering bitterness. A nice aroma consisting of malt, fresh apples, kinda grassy, with a little citrus, and some alcohol (which should subside with a little more age). A smooth beer with earthy tones. 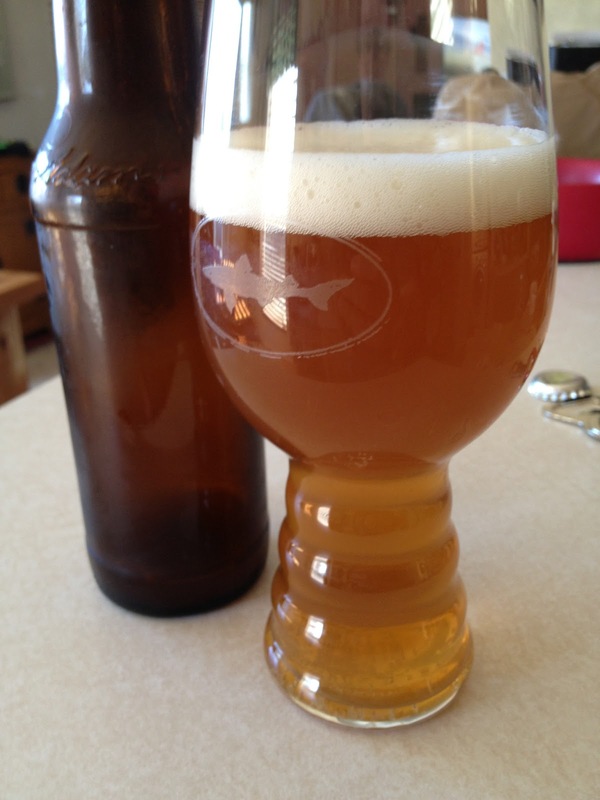 The white head remained for the full duration, possibly with some assistance from the little etched Dogfish logo on the bottom of the IPA glass. For those interested in the recipe, check it out here. Or it can be found on the Recipes Page as well.